Did you know that suspected insurance related fraud claims are on a steady rise. This may be bad for the insurance business however, it is great for the select few that are looking to become an insurance fraud investigator . Granted, it requires a certain type of skill to embark in this line of employment. You would be dealing with the investigation of insurance claims that are suspected to be fraudulent; Both criminal and civil in nature. This means investigating both the people making claims (members) and doctors or authority figures (know as providers) suspected of malpractice. This is why there are several retired police officers and military personnel that do well in this area of work. There are many different and specialized backgrounds that could qualify you for, becoming an investigator. If you feel that you would have a knack for the skills that are required to investigate, deter and detect insurance fraud, than you may be ready for a new career in insurance fraud investigation. 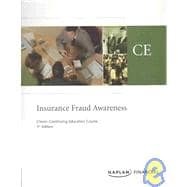 Training with Insurance Fraud Awareness prepares you to understand, recognize, and respond appropriately to potential insurance fraud. Unlike many other genres of investigation work that require certification. (like a private investigator license). There are no specific Insurance Fraud Investigation Courses or designations. Instead, it is molded through experience and training in related fields, as well as intuition built on practice. The opportunity for insurance fraud investigator jobs is split up between insurance companies that hire outside investigators through an agency. As well as the bigger insurance companies that have their own in-house team of fraud investigation officers. There are several types of Insurance Fraud that an investigator can be involved in. Dealing with businesses, people, lawyers, courts and police are all part of the process. As an insurance investigations officer, you will have to communicate with people on all levels. Meaning, dealing with irate people one minute, than dealing with lawyers and court officials the next. Investigations is hard work and there are some very complicated matters involved. That is why many specialize in specific areas of insurance fraud, such as Auto or Life Insurance. There are also those who are trained enough to work in many different areas at any given time. There are surveillance aspects of the job as well, including observing and recording individuals suspected of exaggerating their injuries as an example. Taking photos, conducting interviews, questioning and problem solving are also part of their duties. Now that you are aware of the types of people insurance investigators deal with and the methods they use. You will see that the following list of insurance fraud schemes that an investigator deals with would take a very smart, sharp and crafty type of individual to investigate and resolve. Exaggeration of Injury for Monetary Gain - This is one of the most frequent types of insurance fraud. People want to "cash in" on their injuries for profit. Sure, they may have been hurt and entitled to compensations. However, there are those that falsify their injuries and make them worse than they are. Claiming Injury or Damage, After the Fact - A popular example is car damage. A person with a damaged car is hit by another. There was no damage cause however, the person hit claims the damage (that was already there) was done by the accident. Thus receiving a payment from the other drivers insurance company. Staged Auto Collisions - Much like the above example, this scam involves both drivers being part of the scheme. Lets say you and your friend both have damage to your car and want to get it fixed for free. You stage a collision, stating the damage was caused during the collision, and subsequently both claim "no fault" and are paid by the insurance company. Fake Insurance - One major problem is fake insurance. Just like false ID's, false insurance exists and can leave people in the dark. If two people are in an accident and one of them provides "fake insurance information", it can be like the accident never happened and the insurance companies do not like picking up the tab of other insurance companies. Health Insurance Fraud - There are millions lost each year to people deceiving the insurance industry. Whether they are hiding information, lying about information or misrepresenting information. Any form of misrepresentation is considered illegal. Home Insurance Fraud - A break in has occurred and some items have been stolen. However, a claim is made for much more than what was actually stolen. This leaves the insurance company with a payout much larger than what it should be. Property Insurance Fraud - A business is not doing well and are facing hefty debt. A intentional fire is started, resulting in a large insurance payout. This type of insurance scam has been made popular by the many movies including this story line.